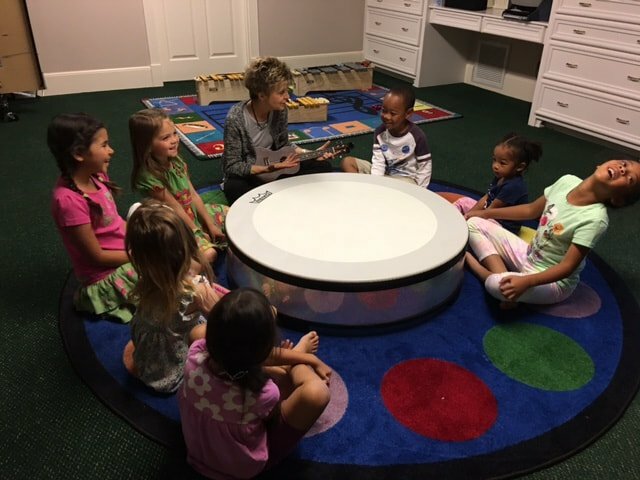 The Music Rhapsody program, developed by internationally renowned music educator Lynn Kleiner, addresses each age and stage of childhood develpment. It meets your child exactly where he or she is. Beautiful, deverse songs, singable phrases, repetition with variety, the use of instruments, puppets, and visuals all foster the love of music in an exciting and creative environment. It is a program that, to its core, acknowledges and values the input and creativity of each and every child. The Instrument Kits have earned acclaim from the Creative Child Magazine, Dove Foundation, National Parenting Center, Oppenheim Best Toy Awards, and the iParenting Media Awards, as well as endorsements from Kids First, REMO, and Alfred Publishing. The classes run September through June. Join anytime. Initial payment includes 1st month, registration fee ($20), and required Green Instrument Kit ($60). ​Babies instinctively react to music! In these interactive Mommy (or Daddy, or Grandma!) and Me classes, you will learn delightful rhymes, lullabies, floor and lap games, action songs and dances that stimulate your baby’s natural response to music. Parents gather information each week on infant musical development and learn activities to share in class and use at home. More benefits: increases bonding with your baby and develops listening and motor skills. Also enhances language development and sense of balance and timing. ​Please bring the Green Kit to class each week. Notes on songs, rhymes and games are included in the Music Kit. At-home participation with your kit is the key to the full benefits of the program. Maraca: Perfect for little hands, this small and durable maraca has a crisp clean sound that little ones will love! Colorful Scarf: Great for creative movement and dance, it is sure to bring smiles to all ages! 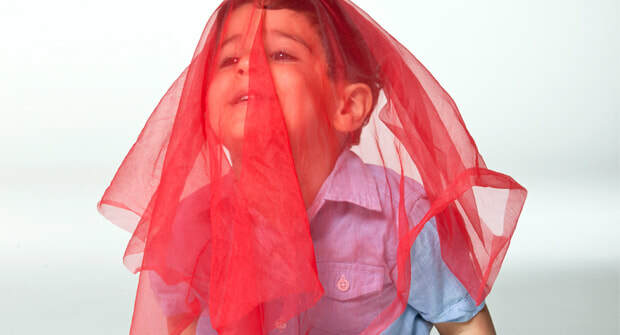 See-through fabric makes this especially fun for little ones. Baby Tot Drum: Sure to be great fun as little children “beat” this durable and colorful rainbow covered drum with handle. It comes with a short rainbow mallet, too! It may be small but the quality is the same Remo quality that the big musicians play! Baby Tot Bell: Securely attached large silver bell cage and easy-to-grip handle. It is great for small hands and will jingle with every shake. Class Time: Wednesday, 4:30-5:15 -OR- Thursday, 10:30-11:15 a.m. Initial payment includes 1st month tuition, registration fee ($20), required Red Instrument Kit ($60). Amount will be adjusted for continuing students already having Green Kit. ​In this Mommy (or Daddy, or Grandma!) & Me class the child and parent learn delightful songs, dances and musical activities that focus on singing and keeping a beat to enhance timing, coordination, listening and language skills. High-quality percussion instruments are used as well as puppets, stories and colorful props to make this a very special music time. More benefits: Repetition assists language development and memory, and improves coordination and timing. Helps little ones express their feelings productively, and develops their imagination and ability to focus. Please bring the Red Kit with Rhythm Sticks to each class. At-home participation with your kit is the key to the full benefits of the program. Baby Tot Bell: Securely attached large silver bell cage and easy-to-grip handle. It is great small hands and will jingle with every shake. Rhythm Sticks: A pair of hardwood sticks with a natural finish in a short length make it easy for young children to safely keep the beat and play rhythms. One stick is smooth and the other is ribbed so you can tap or make those fun snoring sounds, duck quacks or frog noises! Class Time: Tuesdays, 4:30 - 5:15 p.m​. Initial payment includes 1st month, registration fee ($20), required Blue Kit ($60). The young child and parent (or grandma, or nanny!) will sing, dance, and play instruments in this Mommy & Me class. Solo singing is encouraged to develop listening, pitch-matching, and language skills. Concepts such as high and low, soft and loud, up and down are taught in a game-like atmosphere. Puppets, felts and props add to the special music making experience. More benefits: improves coordination; through movement and playing, a sense of timing, phrase, and form is developed; while the class further enhances their imagination and ability to focus, and increases self-confidence. Students should bring their Blue Kit to each class. Using the CD, DVD and instruments at home will reinforce the learning from the class as well as encourage participation and improve musical skills. Bells: Four large nickel silver bells are secured on heavy fabric for maximum child safety and the most musical sound. 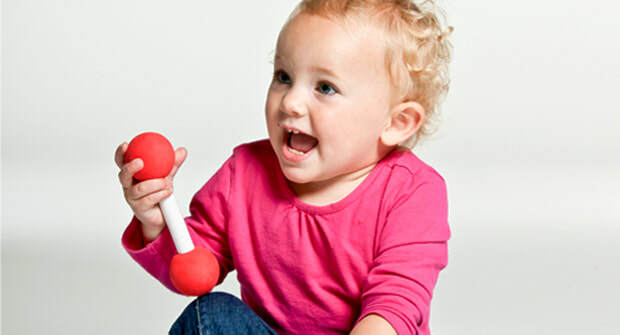 Maraca: Perfect for little hands, this small and durable maraca has a crisp clean sound that little ones love. Tambourine: Rugged and built to last, this easy-to-use and fun to play tambourine has the highest quality sound and is sure to be a favorite with young musicians. Triangle: Tired of losing the triangle hanger? Disappointed with a “thud” instead of a “ring?” This high quality triangle has a beautiful tone and you will enjoy the secure hanger that goes through the hole in the triangle so it stays with the instrument. Comes with an easy-to-grip striker. This is an instrument that everyone loves! Initial payment includes 1st month, registration fee ($20), required Purple Kit ($60) . This class gets the child started with the fun and high quality Orff instruments and features exciting musical games, rhymes, and stories. It develops a sense of timing and coordination as the child experiences solo and group playing on the Orff instruments. Solo singing games improve listening, pitch matching, and tone quality. Builds on the child’s musical literacy foundation and continues to improve physical and literacy skills. Students should bring their Purple Kit to each class. Using the CD, DVD and instruments at home will reinforce the learning from the class as well as encourage participation and improve musical skills. This class continues to foster readiness for any further musical endeavor in the future. Students can join any time as long as there is an opening in the class. Please bring the Purple Kit to each class. At-home participation with your kit is the key to the full benefits of the program. Small Ocean Drum: Play it like a hand drum….or create the sound of ocean waves by tipping the drum slowly from one side to the other. Children’s Glockenspiel: It may look like many others, but this one is very special! This colorful glockenspiel has a very sweet tone quality that is accurately pitched with a diatonic range from C to C. This high quality instrument is great for early childhood in that letter names are indicated on each of the individual colored bars. Class Times: Wednesday, 10:30-11:15 a.m. Initial payment includes 1st month, registration fee ($20) and Yellow Kit ($60). Your child will be loving this action-packed, social and creative music class. This class continues teaching the elements of music through singing, playing, exploring, and moving. The students make the arrangements (introduction to composition [writing music]) and accompany themselves as they sing. Using Orff instruments introduces numerous parts for students to play in ensemble, bringing a more develped sense of timing, listening skills, and concentration. More benefits: builds on the child's music literacy foundation and continues to improve physical and literacy skills. This class continues to foster readiness for any future musical endeavor. ​Please bring the Yellow Kit to class each week. At home participation with your kit is the key to unlocking the full benefits of the program.